In determining the development of the short story in Egypt, it is necessary to study the inscriptions on papyri and stone monuments, a process which the archaeologists are better fitted to accomplish than the literary historians, for there appears to have been little development in the form, and the earliest do not differ radically from the later stories, such as the two here included. 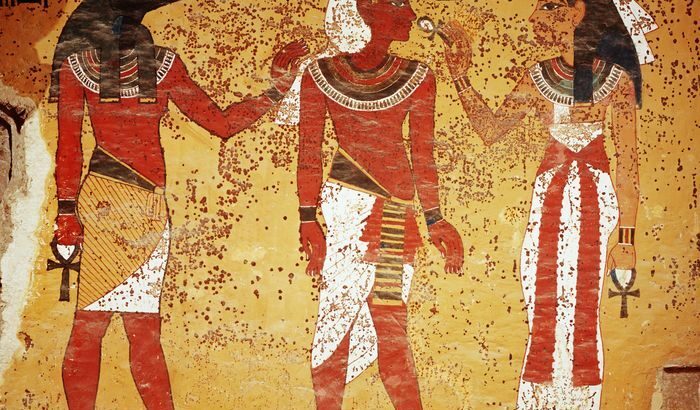 The few Egyptian tales that have survived may date back as early as the Thirtieth Century B.C. So far as can be determined, they are indigenously Egyptian, having Egyptian names, backgrounds, and customs. They are not only an invaluable commentary on the lives of the men of those times, but also genuinely moving and interesting stories.